EDIT: Sarnath'd. 6.6/10. It's OK - what is it? The best LeChuck I feel. Makes me long for July all the more. 8/10. I'm seeing Aslan, am I correct? 7.5/10 - whoever it is! No, but it's a bit obscure if you're not a fan of football in England. 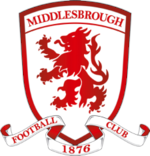 simply it's the crest of the football club I support (Middlesbrough FC). It's still a cube! With mould! 7/10! I'ts strong. bad. up close. 6/10, 8/10 if you made it yourself. And no, he didn't, look on HR Wiki under Strong Mad's profile. 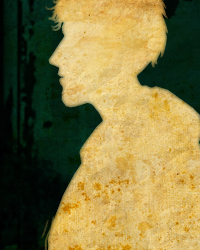 I cooooould get an avatar with smaller text..but nah. 10/10 because I'm too generous. 9/10, looks like a beatnik goat. With a lot of hair. ...Yeah, I didn't think it was that funny either. ...s that still a timberling? And a loaf of bread isn't? Fine. Here. I don't care if you can't see it. Did you draw that DAGRON? Yus. It looks better when it's NOT SO DANG SMALL. It's puff the magic dragons evil twin! AAAAAGGGHH!.....but, still, that is a cool dragon. 8.5/10. 9/10. It's freakin' Strong Bad. Looking at your ugly face. 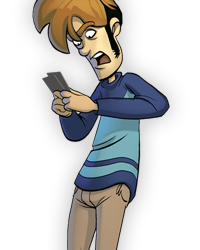 It's a drawing of Wes Wilson, one of the main podcasters for the wonderful Dead Workers Party Podcast Network. Thanks a bunch for letting me plug it. And who likes my new avatar styles? No, someone from its community drew it. I can't draw for crap. But to be on topic, 8/10. I wouldn't say its as good as GNAH GNAH GNAH Patrick, but I like how it's drawn. Is that the dog from Up? Yeah, the Patrick one was pretty good, but I like this one also. And yes, it's the dog from Up. I got the picture off the cover of a children's book for the film that was illustrated by one of Pixar's story artists. 7/10 I really like the shading on that picture. I heartily recommend the movie. But this is coming from a Pixar fan, so your mileage may vary. ?/10. I'm afraid there isn't an avatar here. 6/10 An interesting charater who looks like George Lucas without a beard. ..... BAH! Only 23 meters! 7.5/10. It's one of TT's generic avatars, but the Wallace and Gromit character along with the fact that TellTale is awesome fixes all of that. From far away, it looks like a fat guy. Wierd. 7/10. 10/10 Strong Bad is the awesome. Now somebody do mine this time. I was being funny when I was talking about napolean, but I'm being totally honest when I say that I have no idea what that is. Um.....Terminator? 6/10 A bit too close for my tastes. 5/10. Cute dog. Not my thing. lol Terminator??? You know what the Terminator looks like, right? No, it's Thexder. Specifically from the sequel. Ah, that guy. Never heard of him. Still, 6/10. It'd be a 3/10 if it wasn't so shiny.